The D-10ACX is ALI and ETL Certified. Here it is! Dannmar is name that has grown in popularity for a very simple reason. 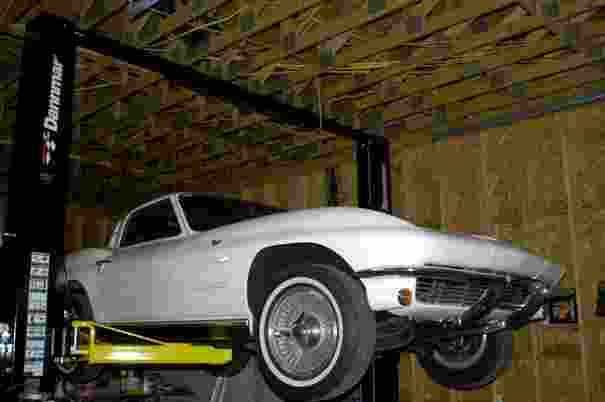 They manufacturer a world class quality lift at a very competitive price. 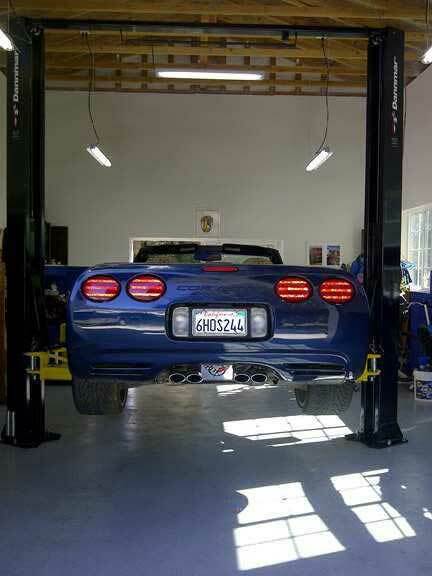 Their lifts are ideal for the automotive shop that doesn't want to sacrifice quality to get an affordable price. And based on the response we've gotten from our customers, there's no reason to search any further. Plus - Now the clear floor models are ALI Certified! Are you looking for an economical answer to a 10,000 lb. clearfloor above ground lift? Are you looking for a lift that holds up to heavy shop use like a top name lift but doesn't hit your wallet like one? Do you want a lift with a time proven design, yet is amazingly affordable?If you answered yes to any of these questions, then you need our Dannmar lift .These two post lifts are a popular design for good reason. When you consider the quality, features and price, you cannot beat this deal. 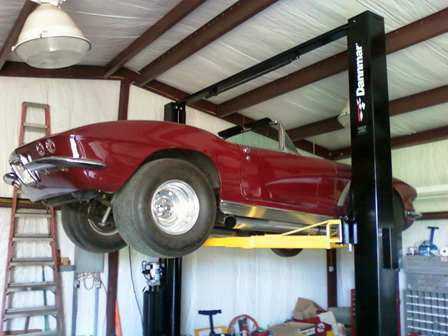 Our Dannmar two post lifts have a proven design that was used by one of the top automotive lift manufacturers for years. And now, you can get them at a significant discount. If you are wary of those bargain lifts out there, but you don't have the budget to spend on one of those top name manufacturer's lifts, the Dannmar lift is a great compromise. They have the features and quality of a top name lift, but without the price. The D-10ACX is ALI / ETL Certified. This wider version of the D-10AC is for wider vehicles and drive-thru clearance. Still an asymmetric two-post lift, the posts are rotated 30 degrees and spaced further apart giving you the ability to open car doors without the dents. 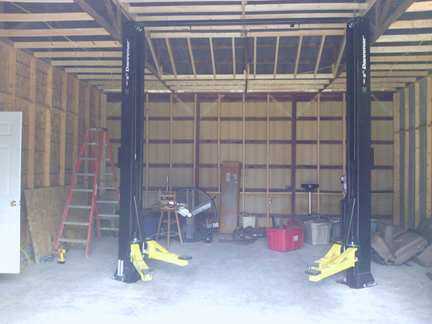 This two-post lift will be an asset to any repair facility it is installed in. In addition, this lift can be angled in narrow repair bays to accommodate other lifts. Lifting Capacity:10,000 lbs. / 4546 kg. Overall Height: 145" / 3683 mm. Overall Width (Outside of Base plates): 143 ½". Overall Width (Outside of Columns): 136 ½". Width Between Columns: 112 ¾". Minimum Reach (Front Arm): 29.3" / 744 mm. Maximum Reach (Front Arm): 43.7" / 1110 mm. Minimum Reach (Rear Arm): 40.3" / 1024 mm. Maximum Reach (Rear Arm): 58" / 1474 mm. Minimum Pad Height: 4-1/2" / 114 mm. Maximum Lifting Height (Pad Only): 73" / 1854 mm. Maximum Lifting Height (Pad & 6" Adapter): 79" / 2007 mm. Drive Thru Clearance: 100 ½". "A big improvement over my previous lift. Thanks for your assistance with everything. The salesman was very knowledgeable and helpful in determining which lift was right for me. Let me know if you want a better picture. Thanks again". "Thank you for great service and a great D10ACX two post Lift! Very happy with the product ! " but decided to get a better quality ALI Certified lift. Boy, are we glad we did! This (D10ACX) lift has met, or exceeded our expectations in every way". from you. 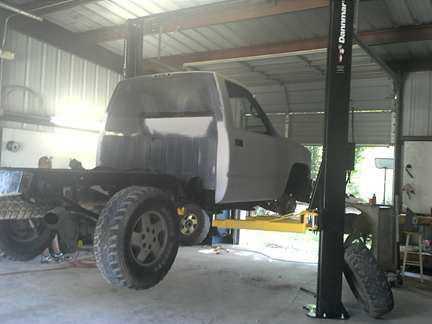 The lift was delivered sooner than expected and everything was good and went together well. Thanks for this great equipment". 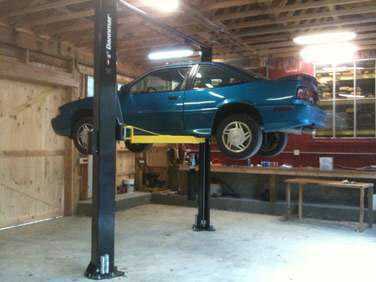 "Sending you a picture of the new car lift. Sorry garage isn't finished. Thank you for the speeding shipping and ease of purchase with ASE Deals. Have a great day"!